WHY DOES FORBES MAGAZINE CALL NAPLES FLORIDA THE NUMBER ONE PLACE IN AMERICA THAT AMERICAN WEALTH IS MOVING? LOW TAXES, LOW CRIME, A BEAUTIFUL ENVIRONMENT, WHITE SAND BEACHES, WORLD-CLASS SHOPPING AND FRIENDLY PEOPLE! And TROPICS REAL ESTATE is all about NAPLES REAL ESTATE! We can tell you about all the Naples Homes & Condos For Sale. We also know Bonita Springs, FL, Estero, FL and Marco Island, FL! 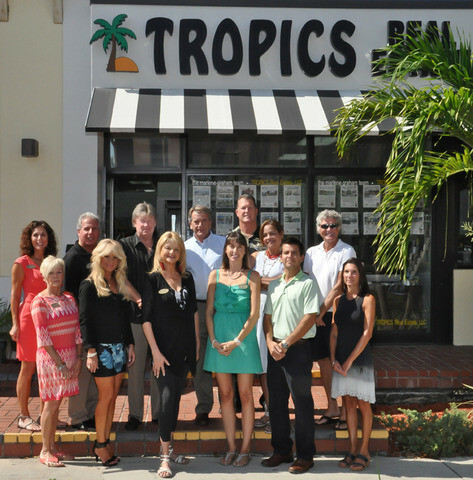 Tropics Real Estate features a team of real estate agents (top Naples NABOR Realtors) with many years of home-selling experience -- working with investors, retirees, families looking to relocate, internationals, and second-home or Florida resort home buyers. Want waterfront (gulf access) homes and condos? Want beachfront condos and homes looking out at the beautiful Gulf of Mexico? Want homes west of US-41? Want golf course communities? Want a gated community? Want an island getaway? Want Naples, Bonita Springs, Estero and Marco Island Realtors who are patient and knowledgeable? You’ve found us! 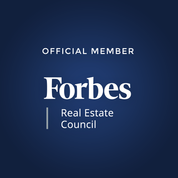 But even more importantly, as a team of top real estate agents, we focus on the BEST real estate in Naples and the Naples area for YOUR needs and YOUR budget. Sure, we use the new Southwest Florida MLS (Matrix system) with the most updated property and real estate reports, but we also use our heads and our intuitive instincts. With journalists, researchers, and property investors on our team, we have personal local knowledge to get you in touch with the benefits of SW Florida in a hurry. Plus we like to have fun! And we want you to have fun also! In fact, we host an in-house Naples Tourist Center(s) at our two Fifth Avenue (539 5th Ave. So. and 612 5th Ave. So.) offices providing you with lots of maps and brochures on our area. So come on Baby Boomers! And our European friends and our Canadian friends; and our Midwesterners and our East Coasters. And everyone else! Don't wait! Prices are moving up; inventory is low. Let us help you find your dream home in the Naples area -- both Collier County and Lee County -- TODAY! Looking for Naples area Foreclosures? Approved Short Sales? Bank Owned Homes? We have Florida foreclosure real estate for not only Naples and Marco Island in Collier County, but also Estero and Bonita Springs in Lee County, as well as just some great deals such as Builder Inventory, New Construction and pre-construction properties priced to the bare nubbins. Looking for a Second Home, a Resort Home, a Golf Course home, a Naples Beach Home, or an Investment Property? Our team of Real Estate Agents truly know Southwest Florida Properties, whether resale or new construction. Are you a Google+ member? Include Marlene Graham in your circles and we'll invite you into ours! Or try another of our sites Naples Things To Do. Ask to join either or both! Cedar Hammmock Click, Forest Glen Click, Naples Lakes, Heritage Bay, Treviso Bay TPC, Vasari, much of Glen Eagle, Countryside, Foxfire, the Brooks, Naples Heritage, Vanderbilt Country Club, Stonebridge, and Royal Wood. You'll also find a lot of equity golf communities in the Naples area such as Colliers Reserve, Vineyards, Quail Creek, Grey Oaks, Tiburon, Mediterra, Lely Resort Click, Kensington, The Quarry, Olde Cypress (Old Cypress) Bonita Bay, Mediterra and Bears Paw. With some of these you have the option of joining or not joining the golf club, some REQUIRE memberships. We also have lots of waterfront and beachfront homes and condos in the neighborhoods of Port Royal, Aqualane Shores, Olde Naples (Old Naples), the Moorings, Park Shore, Pelican Bay, Royal Harbor, Golden Shores, Oyster Bay, Vanderbilt, Connors, and Barefoot Beach to name a few. And then you will see some great in-betweener communities which provide a great roof over your heads near beaches and golf and the fancy restaurants and shopping of Naples. Those include Wilshire Lakes, VeronaWalk, Blue Heron, Madison Park, Ole, Golden Gate Estates, Pebblebrooke Lakes and Sherwood.